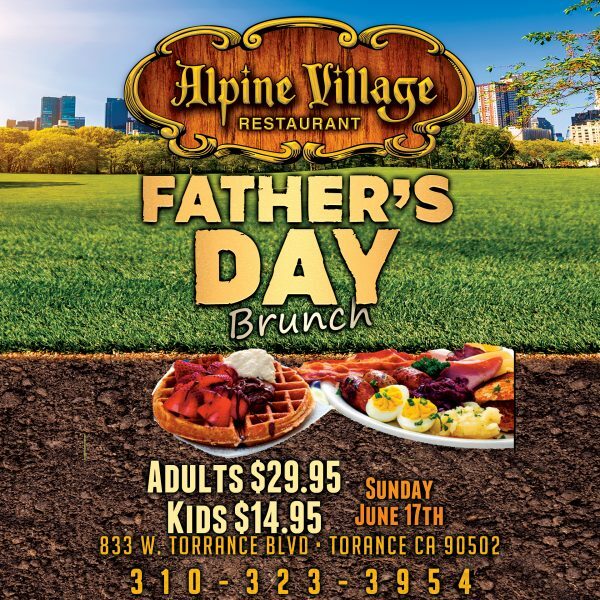 Treat Dad to a wonderful champagne brunch. He works hard all year for you so show him how much you appreciate him and help him have a day of relaxation, and start it off by bringing him to our brunch where he will find almost anything his stomach desires! Our brunch hours are 10am to 3pm. If Dad is a soccer fan too, either bring him early or send him ahead to join us for the start of the World Cup hosted in Russia. The tournament kicks off this morning for Germany and Mexico and kickoff is 8am. When the game is over, stay for brunch. We can’t think of a better way to celebrate Father’s Day! Note: 10:00am, 10:30am, 11:00am, 11:30am and 12pm is sold out.